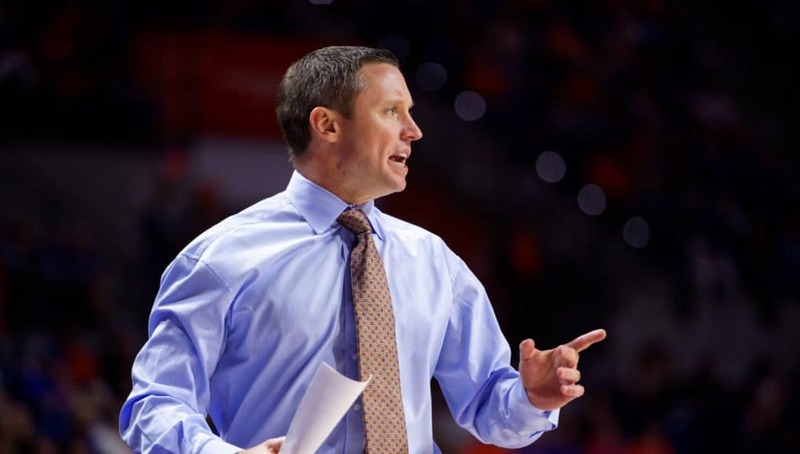 The Florida Gators basketball team is stuck in a rut and it just can’t find a way out. For the third time in the first four SEC games, Florida found itself in a late battle and couldn’t close it out. Mississippi State came into Tuesday’s game as the 24th ranked team in the country, but it was not in a good place after losing its previous two contests. As both teams tried to get things back on track, it was the Bulldogs who ultimately came out victorious on their home court. The Gators scored the first points of the game but were then subject to a 9-0 run by the Bulldogs over the next four minutes. Florida worked its way back within a point before tying it a couple times over the following minutes and taking a 24-23 lead on a three-point play by Noah Locke. Locke hit a jumper on the next possession to go up by three, but that was no match for what was to come from MSU’s Lamar Peters. Peters took it upon himself to score 11 straight points with no answers from the Gators, putting the Bulldogs up 34-26 at the three-minute mark of the first half. Florida’s freshmen stepped up in the final minutes of the half as Keyontae Johnson drained a three, got a steal on the other end and Andrew Nembhard hit a jumper to bring it back within three points. The Bulldogs answered with a jumper, but Nembhard found an open Johnson with the last few seconds ticking off the clock, and he knocked down another triple. Despite letting the game get a bit out of hand early, the Gators went to the locker room trailing just 36-34. Florida had taken control of the lead back less than two minutes into the second half as Locke had been unusually quiet in the first 20 minutes but made his first shot from deep to go up 39-38. Johnson continued his sharp shooting with another three ball and Locke found Kevarrius Hayes for a dunk a couple possessions later to stretch the lead to five points. From there, the Gators went on a scoring drought of over four minutes and allowed the Bulldogs to jump right back on top 47-45. A couple of nice layups from Nembhard with a pair of free throws from KeVaughn Allen sandwiched in between helped the Gators take the lead once again. But every time it seemed Florida took a step in the right direction, it took two steps back. The game went back and forth multiple times for the next few minutes. Then, with the Gators hanging onto a two-point advantage, Allen missed a three, Johnson grabbed the offensive board and put it right back into the hands of Allen and he redeemed himself from way downtown. That made it 66-61 with 2:56 remaining, and it felt like the air was finally being let out of MSU’s sails. Instead, the Bulldogs answered with five quick points to tie it at the 1:25 mark. Nembhard couldn’t get a three to go the next time the Gators had the ball, but Hayes came up with a big block on the other end. The ball stayed with MSU with little time remaining on the shot clock, and Aric Holman managed to make a layup with 24 seconds on the clock. Again, Nembhard tried a quick three that was easily blocked by the Bulldogs. Both teams scrambled for the loose ball and it looked like MSU would come away with it, but it somehow ended up in the hands of Locke, who hit a short jumper. The clutch shot by the freshman made it 68-68 with just 10 seconds standing between Florida and a chance in overtime. But 10 seconds was plenty of time for Q Weatherspoon to get down the court and take it right to the basket for a layup, which turned into a three-point play as Hayes fouled. The Gators still had 3.6 seconds to respond. Florida put it in the hands of its best shooter, and Allen had a look, but he just missed. Some questioned if there should have been a foul called on the Bulldogs on the play, but officials confirmed that Allen did not get the shot off before time expired. The Gators came so close but were still so far as they fell 71-68 in Starkville. This team continues to struggle with taking ill-advised shots as it made 10-of-31 three-point attempts on the night, while MSU made the same number of threes on close to half the attempts. Defense has been the one thing Florida could really lean on this season, but White felt it was a letdown on Tuesday. The Gators allowed the Bulldogs to shoot 53 percent from the floor, and while they did a good job of stopping Peters (who had 16 first half points) in the final 20 minutes, the Weatherspoons combined for 14 in the second half along with 10 more from Holman. While Allen couldn’t make the shot he needed to in the end, he led the Gators with 17 points. Behind him, Nembhard had 13 points and 8 of Florida’s 18 assists in the game. Locke finished with 12 and Johnson had 11. It certainly isn’t the end of the world, but this was a game that felt like a must-win for the Gators to get this conference season turned around. Florida now falls to a 1-3 SEC record as it continues to try to figure its ongoing issues out. The next chance for redemption comes on Saturday in another road test at Georgia. That one hurt. So frustrating.